On October 10th your host "Zombie" Matt Mann will present a Post-Disney Trip episode of Alternative Wrestling Radio. In the first segment we will be joined by a TRUE Special Teams player, Sabotage Wrestling's Joey Rodriguez. If you need it done for an indie show Joey has done it. This is the perfect show for any aspiring wrestler to listen to.In the second segment we will be joined by Kim Pinto and Carlos Quezada. Kim and Carlos are TRUE Star Wars NUTS.Fans of our show will remember that Carlos was on our debut episode.Kim and Carlos are both members of the Golden Gate Garrison and proudly serve the dreaded Empire. We will discuss upcoming troops,make-a-wish,their love story and much more. In the main event we will be joined by the man that carries Matt Farmer on the Indyriffic Podcast on the MLW Radio network and is a mad genius with photoshop, Jeremey Tate. We will discuss the Seattle indie scene, t-shirts designs,being a twitter machine and so much more. 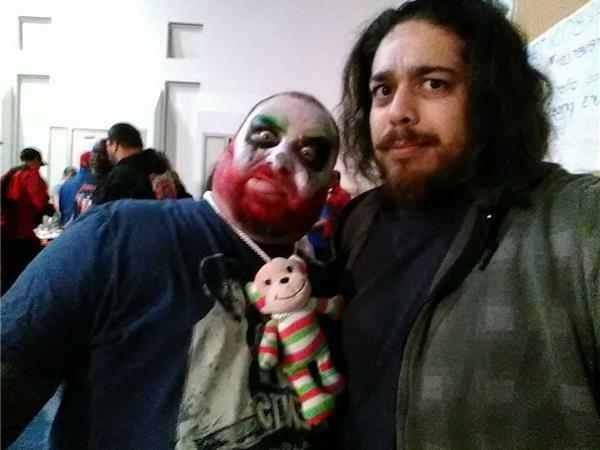 Make sure to join us at the SPECIAL start time of 7:30pm pacific/10:30pm eastern time as "Zombie" will once again spread the good word of Alternative Wrestling Radio!